If you use multiple pieces of bowling tape, the F325 style will be best suitable replacement for traditional bowling tape. on 4/25/10 I USED THE TAPE ON MY THUMB WITH MY ROTO GRIP MUTANT BALL AND ROLLED A 300 GAME AND IM 75 YR OLD. It lets me have a better fit in the ball. It also prevents calluses from worn grips. No sticky tape to put in the holes or special tool to remove. Easy to cut any length needed. Get extra because fellow bowlers always ask for some tape. It is an inch wide. Can Turbo tape be used inside a thumb hole to add more grip to a large thumb hole? 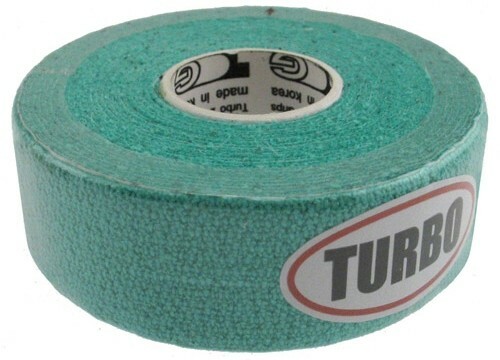 Due to the time it takes to produce the Turbo 2-N-1 Grips Fitting Tape Mint Roll ball it will ship in immediately. We cannot ship this ball outside the United States.